Make sure the story adds value to all relevant users and avoid missing out important users. Try a different approach to getting your user stories ready by adopting different personas and using job roles (but, don't worry, getting into character is optional). Here’s a practical technique to help identify relevant users before they get buried in specification workshops and three amigos conversations. Sound interesting? Take a look at a ‘persona’ example. Meet Leanne. She is always travelling with her MacBook Pro and works remotely. She always gets frustrated when an application performs slowly or doesn't respond, particularly if it leads to a loss of work when the wifi drops out. Perhaps we need a new User Story to stop her losing work if the internet connection fails? The acceptable performance for a new feature might need to be improved? The remote nature of her access to the system might make us consider the security agreements… Is a VPN required? 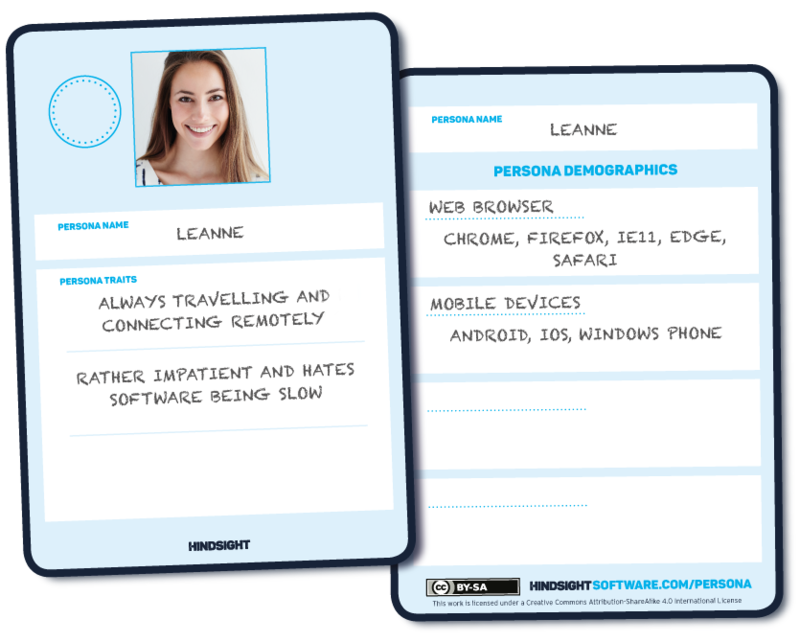 When we've used this technique ourselves, we have found it useful to write the personas down on cards, along with user roles - which is why we've developed our persona card and role card blueprints to help. Set up a deck of Persona Cards and a deck of Role Cards. Select a card from each deck and look at the combination to imagine and role play them in the user story. If they are a relevant user, check the story adds value, and change the story or create a new one if required. Iterate through different combinations until you’ve identified all relevant users; not all combinations will be valid and some can be skipped. Personas are created by data-driven research, looking at groups of common user traits and demographics. For example, consider qualifications, training, work skills, computer and device use, including operating systems, web browsers, mobile. Use our persona card blueprint to help you identify all the relevant personas associated with your user story. To humanize and help the team relate to a persona, use a name and photo. Pro tip: You can make up personas but this often creates a Frankenstein user of bias and stereotypes, with no connection to reality. Role cards are used to understand what problem a user is trying to solve or task they want to complete. Use data-driven research to create roles: customer surveys, interviews, job descriptions, job adverts - but speaking to real people is always best. Use this role card blueprint to help you identify all the relevant roles associated with your user story, including role responsibilities and pain points. Pro tip: a single card doesn't need to represent a job title or position. If the role card is getting full, you can always break down into smaller roles.